Medellin (Mede “gene”) sits in a very picturesque valley with the city being far larger than I imagined and spread up into the hills. 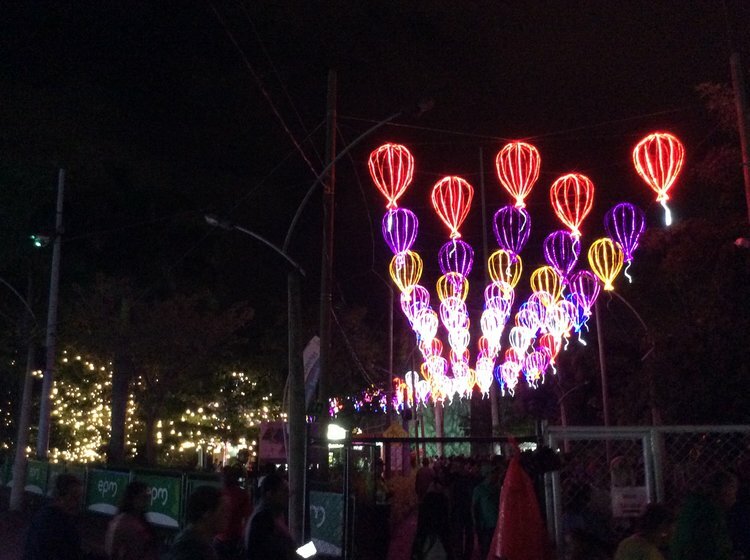 Medellin is full of life and vibrancy into all hours of the night and early morning. 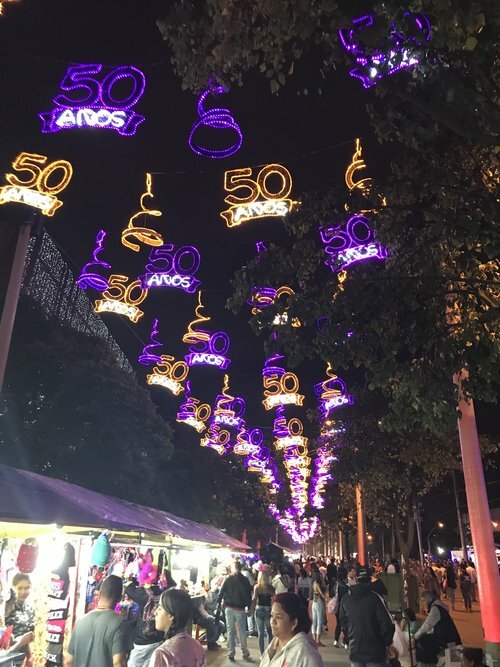 One can expect, as I have now realized is a norm with South American cities, to stay up late eating, drinking, and having a great time. 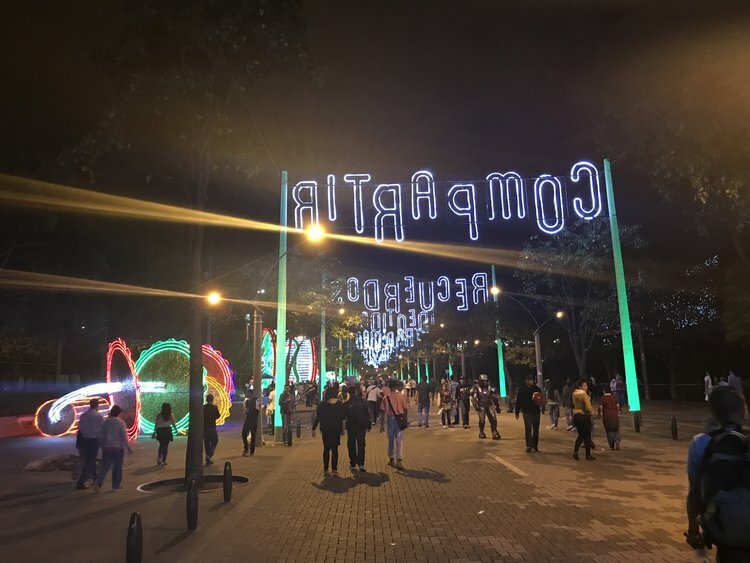 I arrived in Medellin around 930 pm, a time in most American cities things are settling in for the night, but not in Medellin! 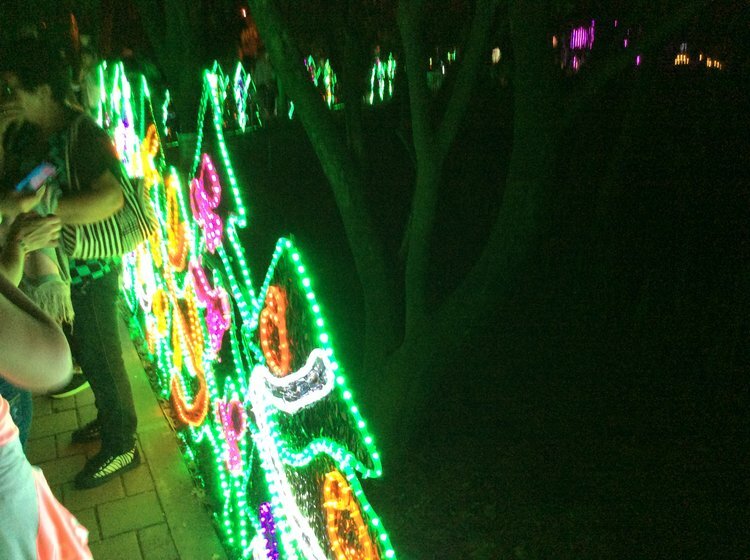 Things were alive and exciting! 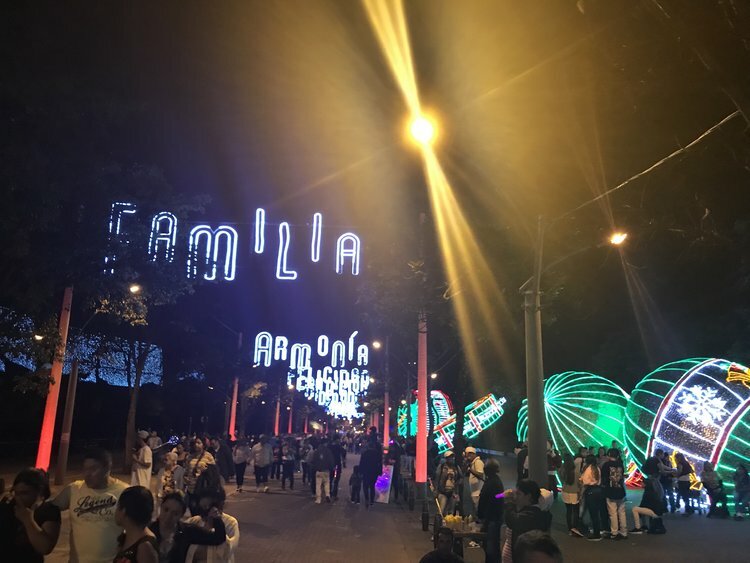 Medellin was an exciting place to be for the holidays and I wanted to give you a little information to help make your trip to Medellin more enjoyable. Airport: Unlike the Bogota and Cartagena airports which were close and cheap to the city center, the Medellin airport was about an hour’s distance away. 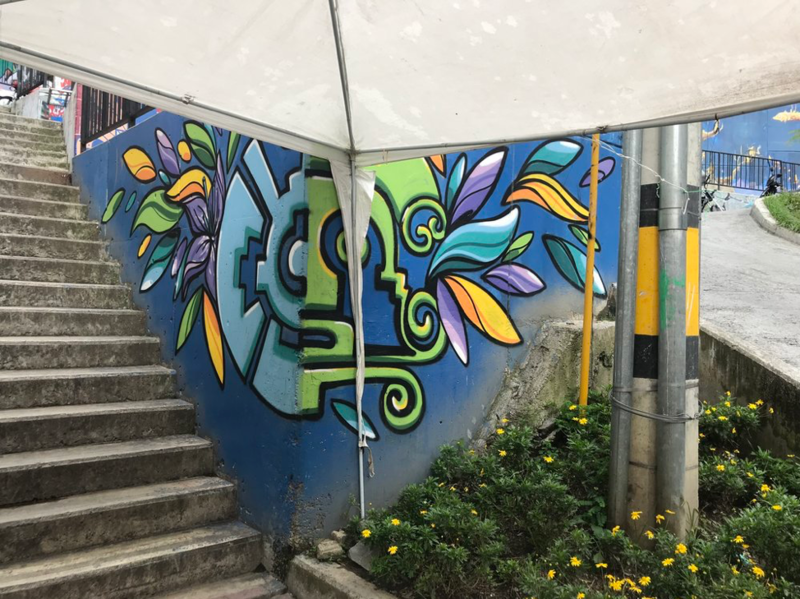 Because of that distance, it was very expensive to get to and from the airport with taxis and Ubers costing $59,000 to $65,000 pesos each way- yikes.That is expensive to someone who has gotten used to paying $10,000- $14,000 pesos. However, I have the cheap gene just like my mother. I think it must be a part of my genetic code because I refused to pay that much, so I found a much cheaper way! The Aeropuerto-Combuses Bus runs to/from the airport for $9,500 pesos. The bus drops off/picks up at the San Diego Mall (from 4 am to 10 pm) and Hotel Nutibara (from 3 am to 10 pm). 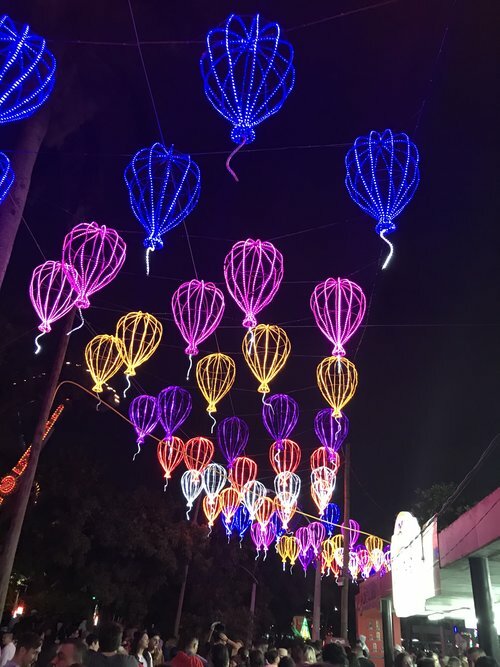 Hotel Nutibara (Carrera 50A #53-13) is in the middle of the city right next to Botero Park.Take a taxi to the locations above or from them and the cost of the taxi will be relatively cheap, between $6,500-$10,000 pesos. To do the math it is either $59,000 to $65,000 OR $15,500- $17,500 pesos. I will let you figure out which is the better deal… (hint hint it is the bus) The bus is very clean and comfortable.It reminds me of a super shuttle, but better because you do not have to climb into the back of a 16 passenger van. The vans leave every 15 minutes between the times mentioned above. 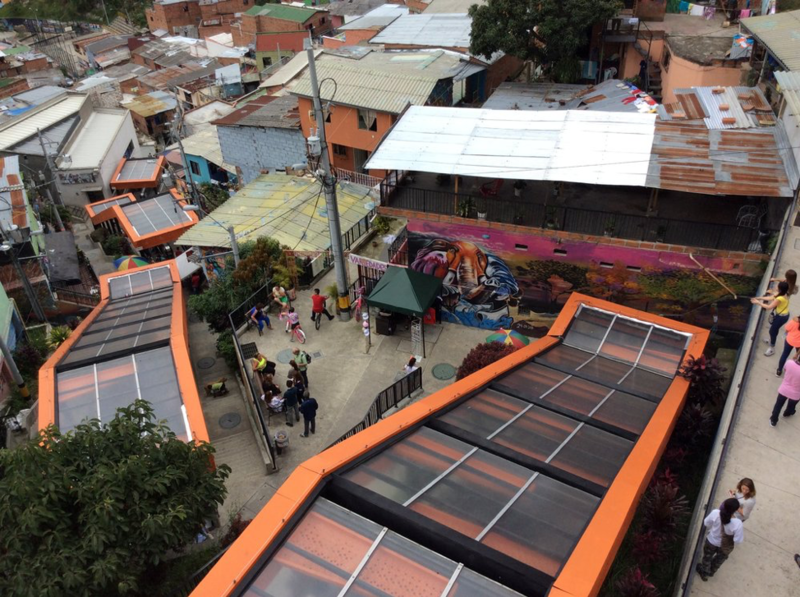 Transportation: Medellin has Uber and a good taxi system. The taxis are everywhere and give decent prices. If you are worried about the prices bring out the calculator on your phone and get the price beforehand. It is also good to have the address written out to allow the driver to see it in case the words are not being pronounced correctly. 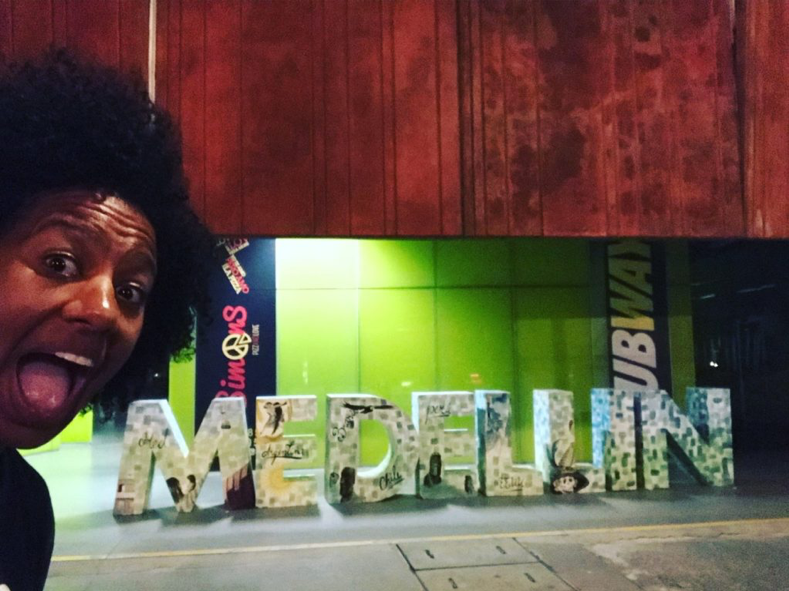 Medellin also has a great metro system that included cable cars in some locations. To the right is a map of the metro system. 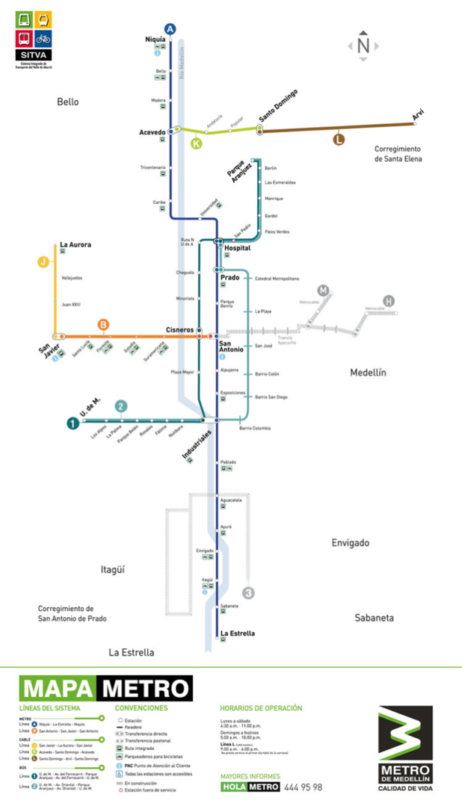 The metro system is paid for by rides not dollar amounts.When going up to get your metro card tell them how many rides you want, I think the rides are $2,200 pesos each. When your card has no more money on it the machine will keep the card on your last use. I did not know this and spent a few minutes wondering where my card went and how I could get it back until a kind person told me the machine keeps it. The metro system goes to all the touristy parts of town quite consistently and is pretty fast. 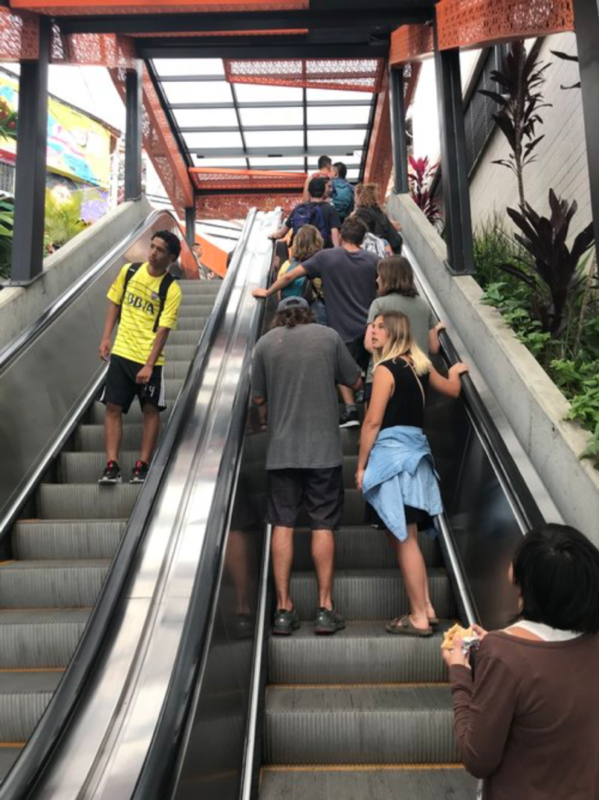 Some metro station stops fill up quickly and are a tight squeeze, just pay attention to your bag because that is when thieves like to go to work. 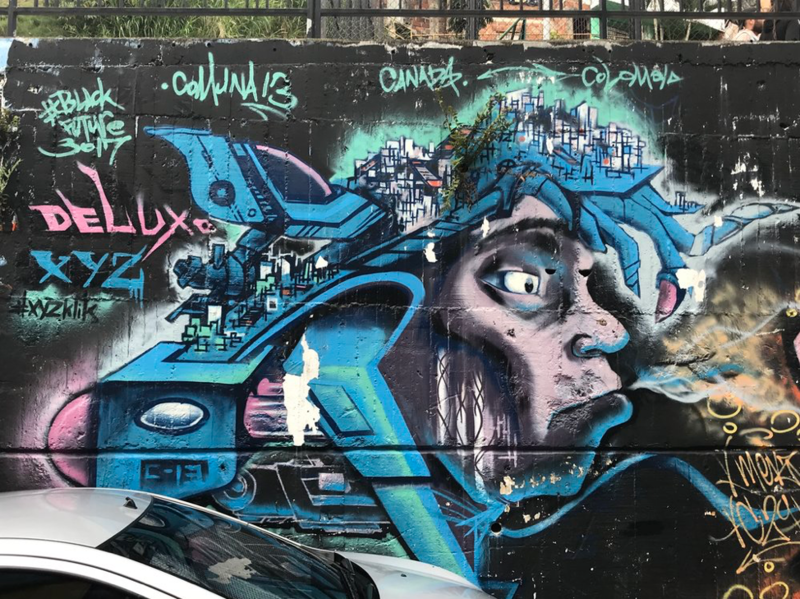 Tours: Graffiti/Comuna 13 Tours: Medellin has a great graffiti scene as does Bogota, but I honestly think this scene is better as there seems to be more developed full artistic pieces.Around the hospital metro station and under the highway almost all of the cement pillars have amazing pieces on them. 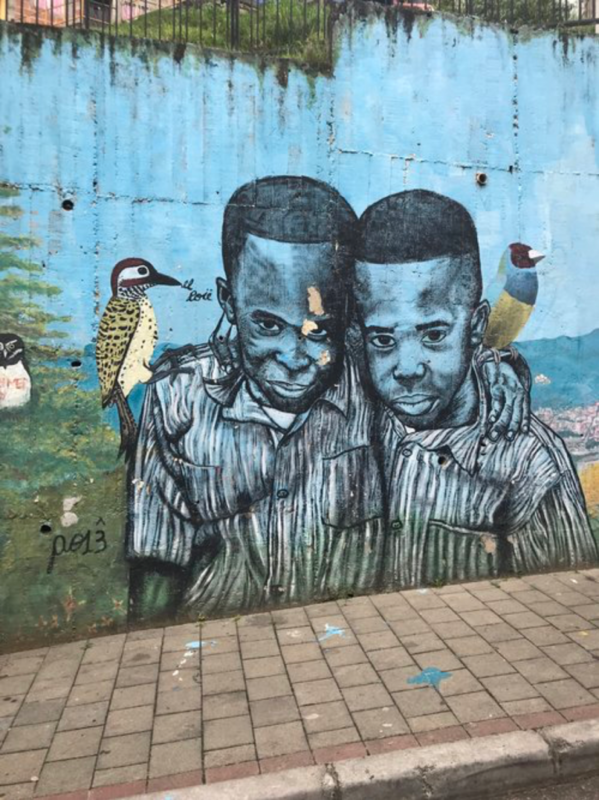 I took the free graffiti tour around Comuna 13 which was a nice tour. It was set up through Freetours.com which has free tours, but you are expected to tip ($20,000-$30,000 pesos). 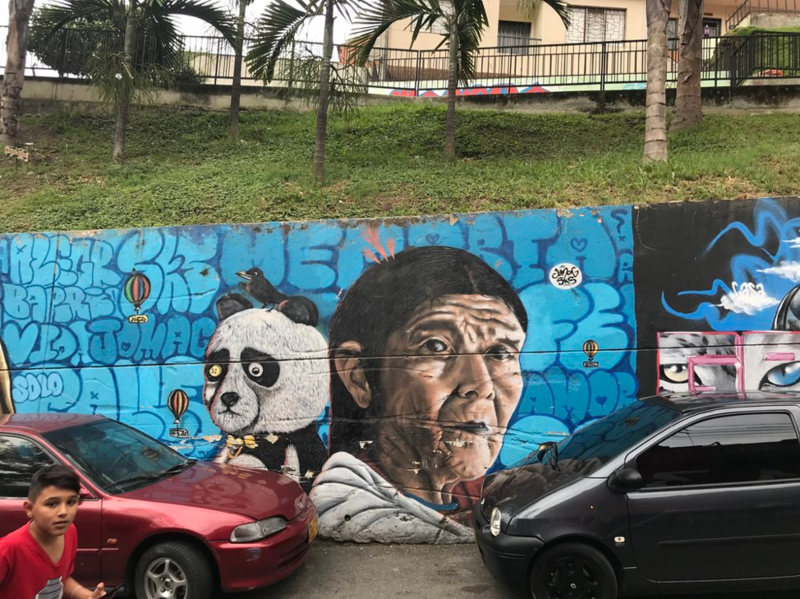 The young lady from Zippy Tours was named Laura and was born, raised, and continues to live in Comuna 13. 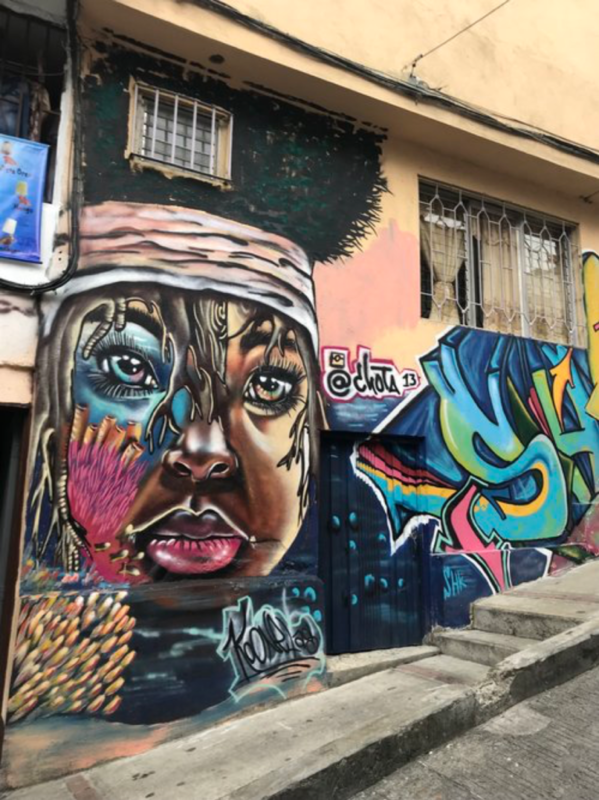 That experience gave us a very nice historical perspective of the violence, death, and drugs that made Comuna 13 a very deadly place to live or visit during the1980s and 1990s. 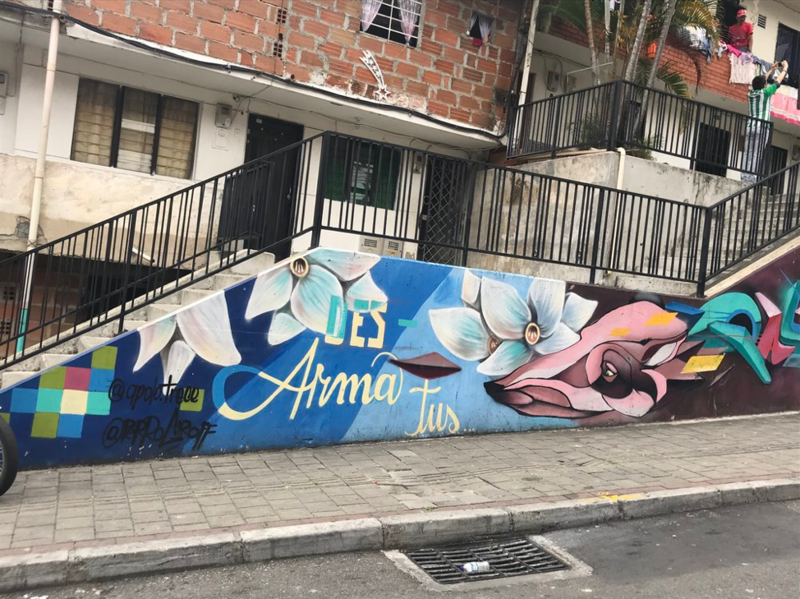 The city and Comuna 13 did a 180-degree turn and now the area is not only safe and welcoming to tourists, but also is driven by tourism.The stories behind the art were wonderful to hear and gave us a fuller story about Comuna 13. 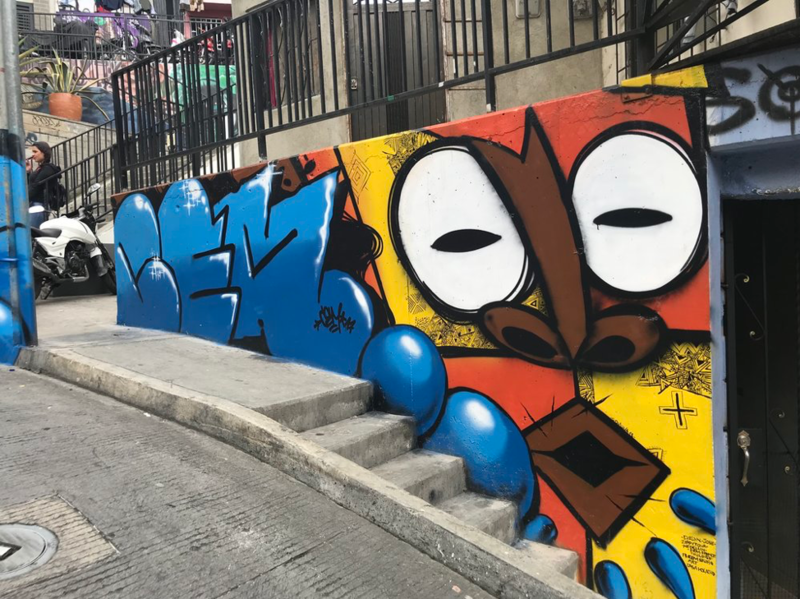 There is also a graffiti tour ran by Medellin Graffiti Tour that is $60,000 pesos and I believe you get lunch included. 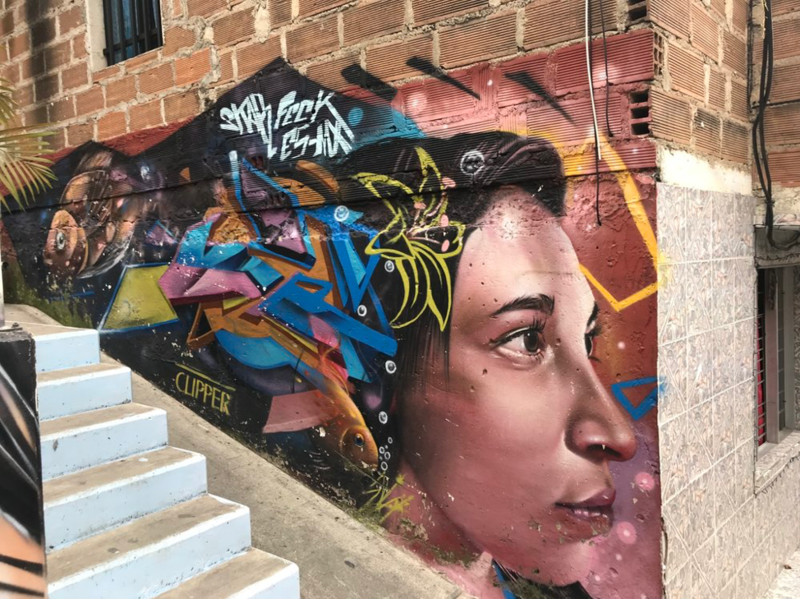 This tour is run by artists who are in the graffiti scene and one I would have enjoyed more as they can talk more in-depth about the artists, legalities, and their experience. 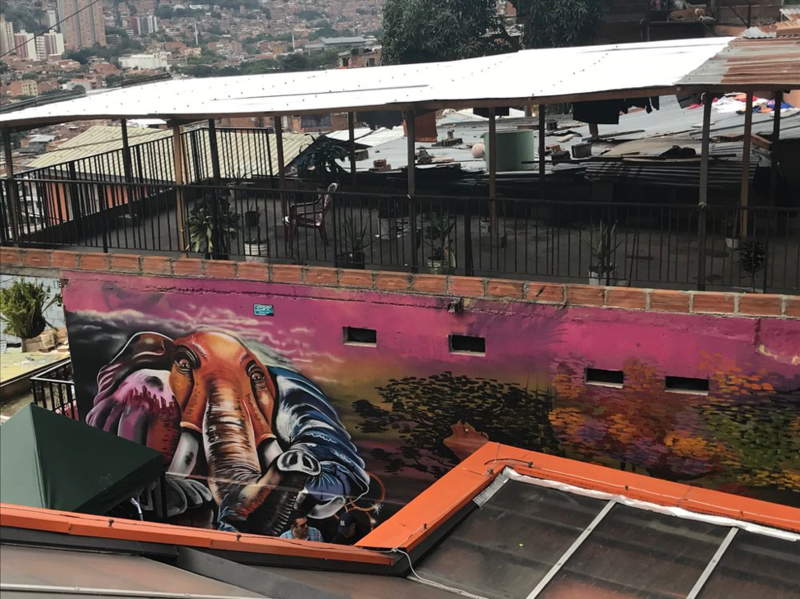 Comuna 13 has amazing views and give wide sweeping views of the city. Make sure to take pictures when on the tour. The views are spectacular. Other Tours: There are free walking tours and free food tours. Try to do one of them because it gives you a great perspective of the country and information you wouldn’t have possibly known on your own. 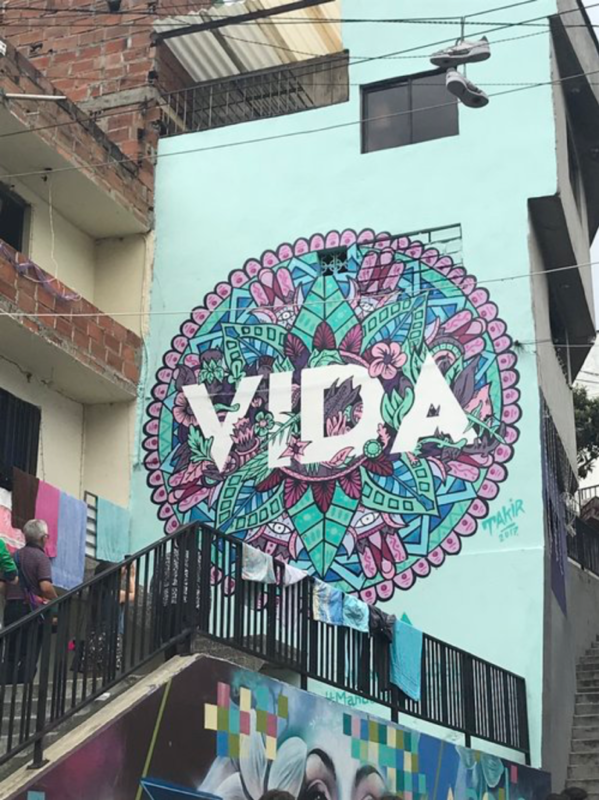 Also, they are usually run by people who are from Medellin and that personal experience is valuable. 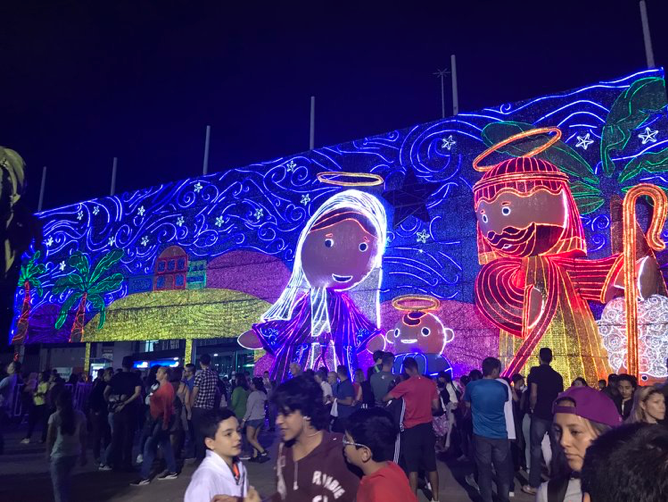 Christmas Lights: Oneof the reasons I wanted to go to Medellin was the Christmas lights. 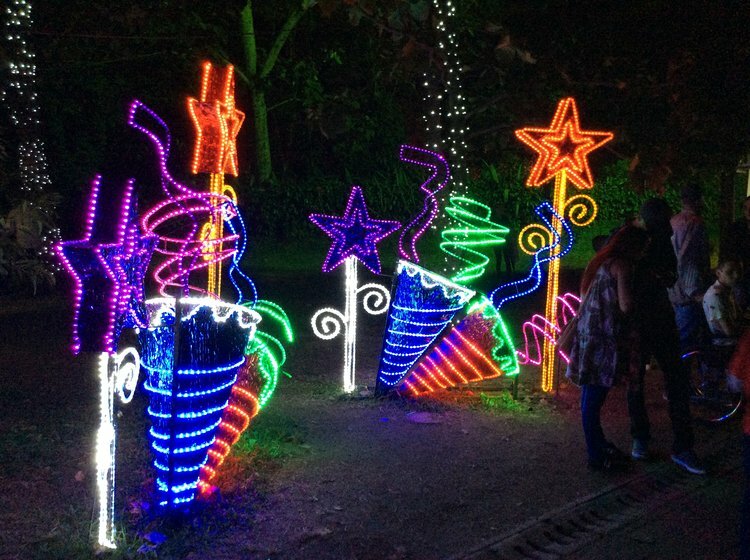 They are displayed in Parque Norte and did not disappoint. 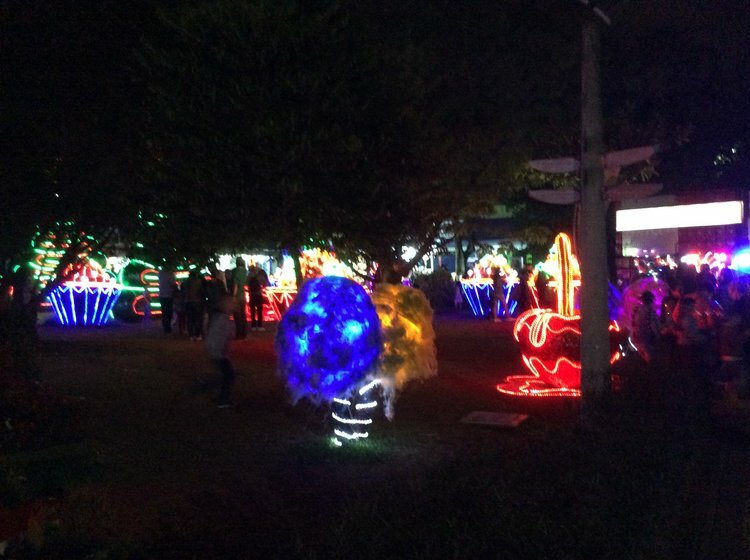 Parque Norte is an amusement park surrounding a lake. 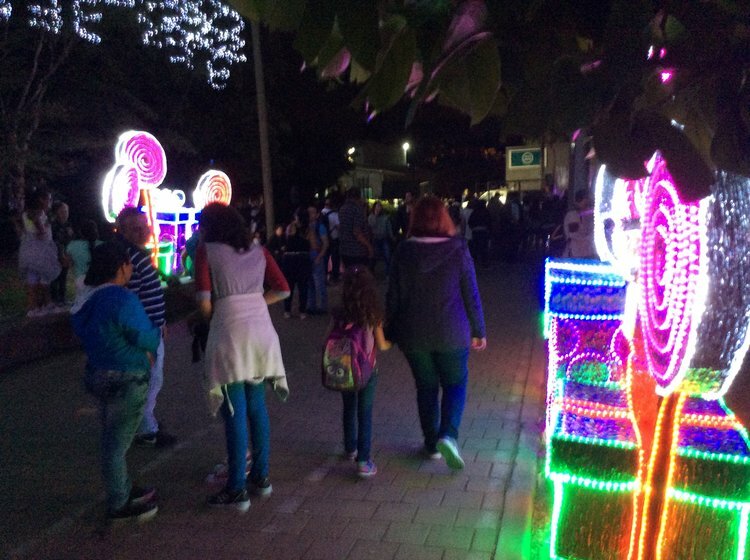 The fun starts at Planetarium of Medellin where they have a light and sound show put on by EPM. The show is about 11 minutes long and is on every hour at night with the last showing at 11 pm I believe. 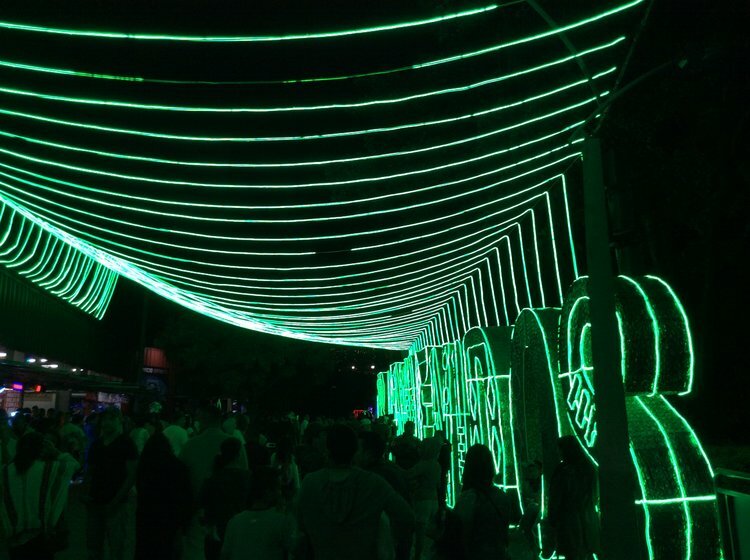 It is worth the time to go watch as it is a techno show with dancers on the video and lights. 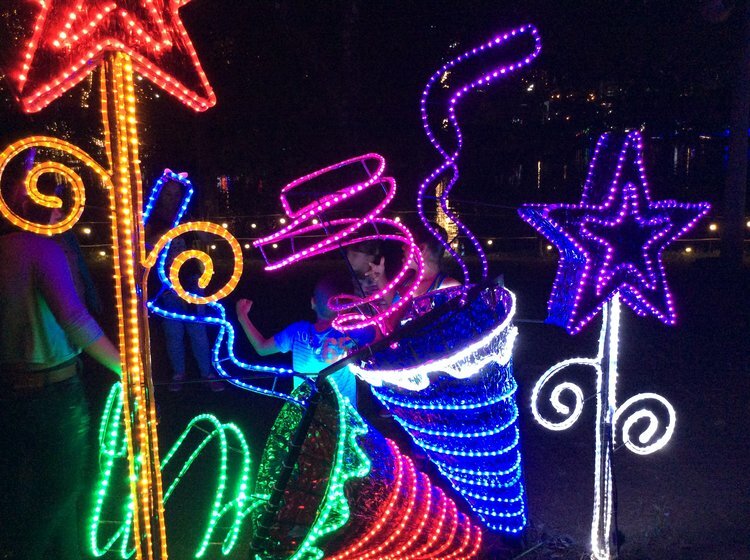 From that point, you walkthrough Parque Explora where they have large scale lit decorations. 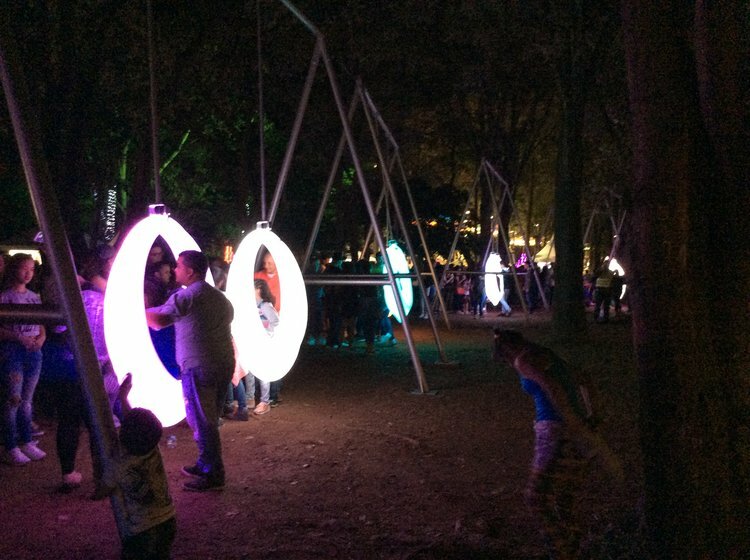 The theme this year in Parque Explora was musical instruments. 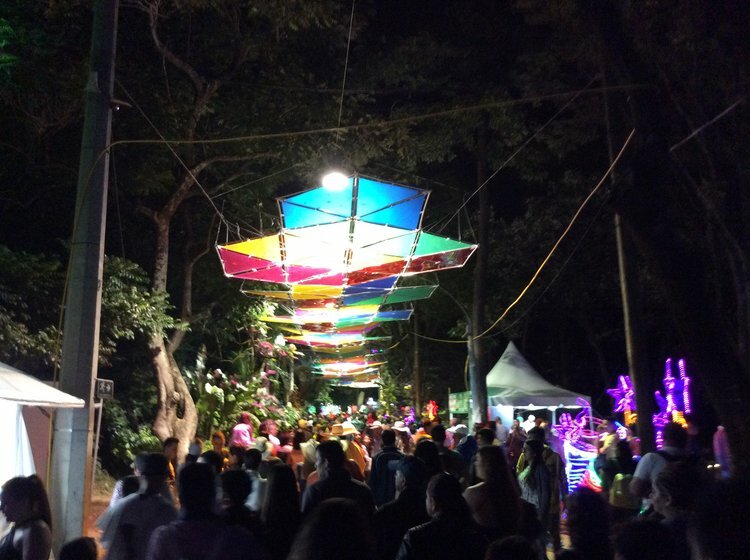 Within the Parque, you will find musicians, artists, food vendors, and everything else under the moon.It is a great atmosphere and you will also see a lot of families and kids out, regardless of how late it is. 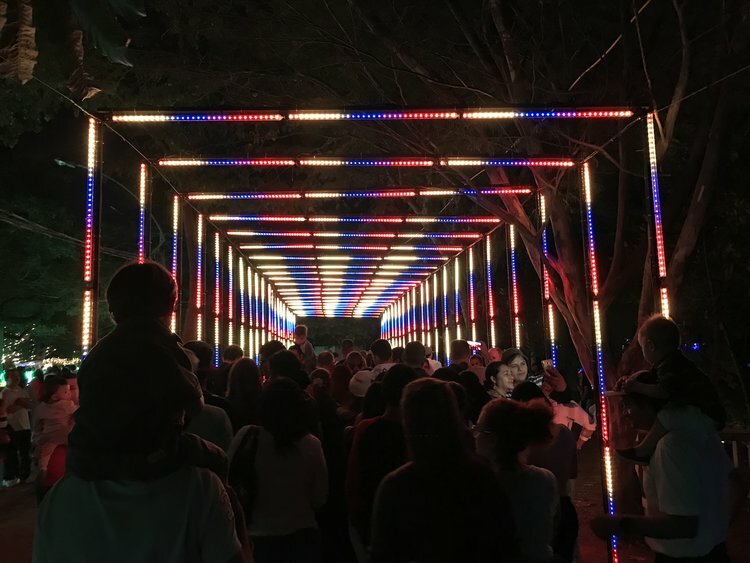 Once you get to the end of Parque Explora, which is maybe 200 meters, you will turn left into the opening area of Parque Norte. There will be a lot of people here. A LOT. There will be food vendors galore both inside and outsideParque Norte so do not worry about going hungry. Please be aware that this area only takes cash so make sure you have it on hand. 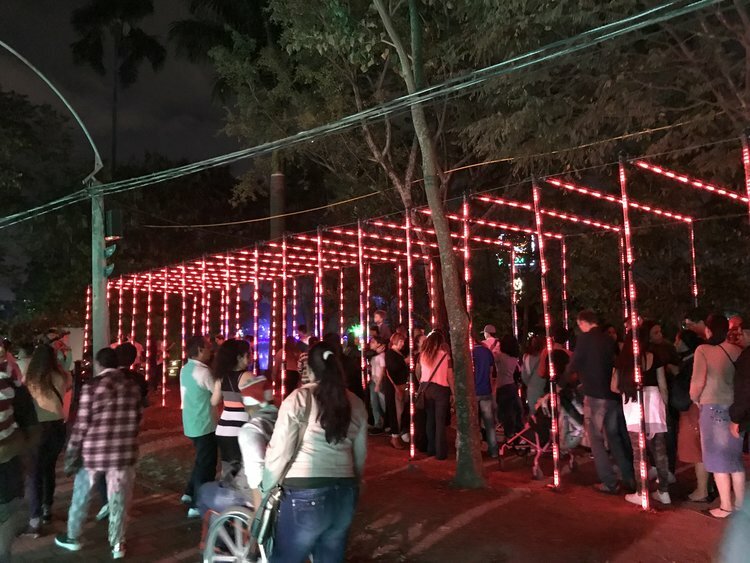 If you are standing in the opening area of Parque Norte you can go straight through the row of vendors selling hats, fake tattoos, caricature drawing, and miscellaneous things. That row will turn into the food vendors and the theme, just like any amusement park is meat, sweets, and carbs. You can get huge meat plates for $10,000 pesos, bags of mini churros for $2,000 pesos, obleas, ice cream, beer, and so on. 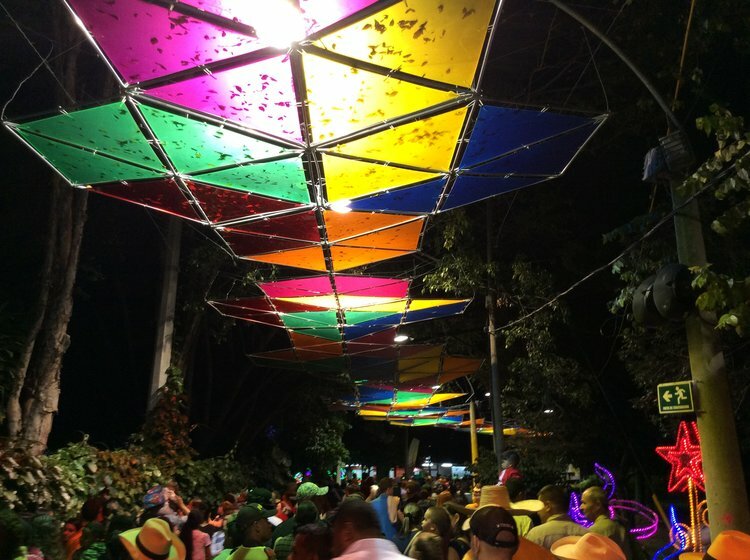 It is a foodie’s Colombian paradise. On this row you will also see street performers. 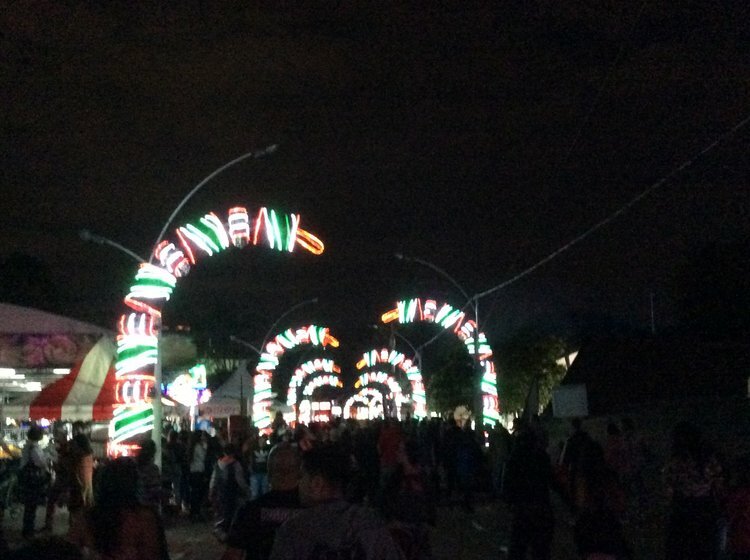 Now time to go into Parque Norte! 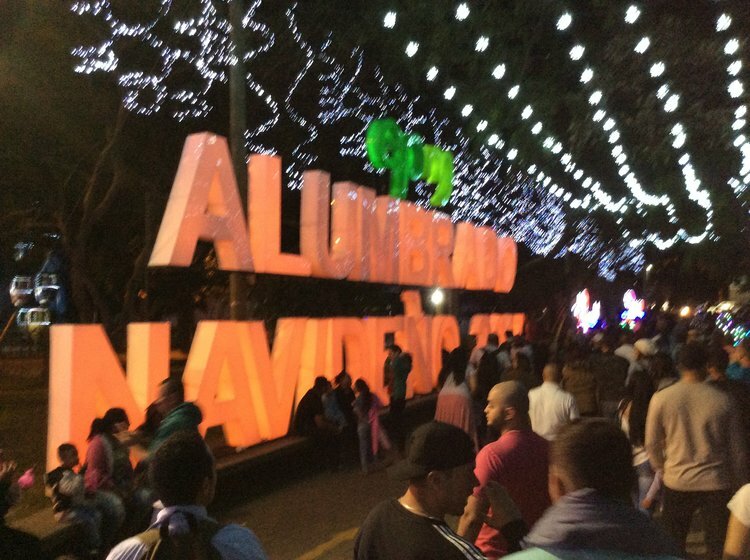 Parque Norte is free and a huge attraction for Colombians. 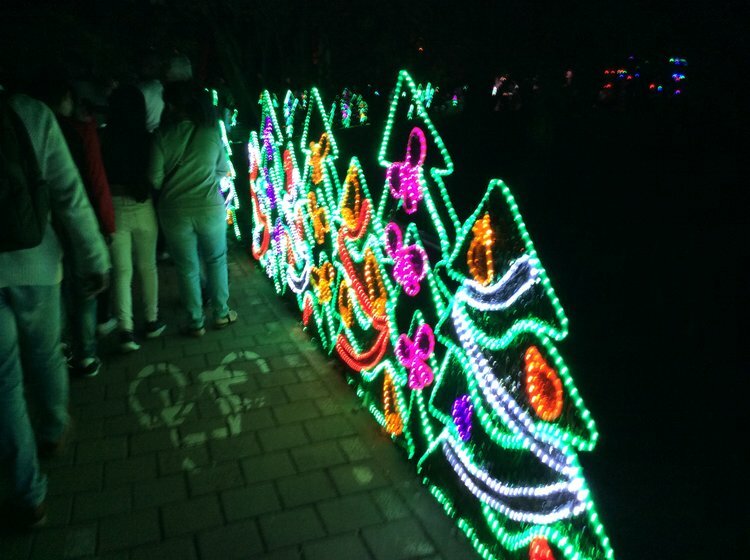 I did not see many foreigners, and any foreigner I spoke to about it had no clue the lights existed. 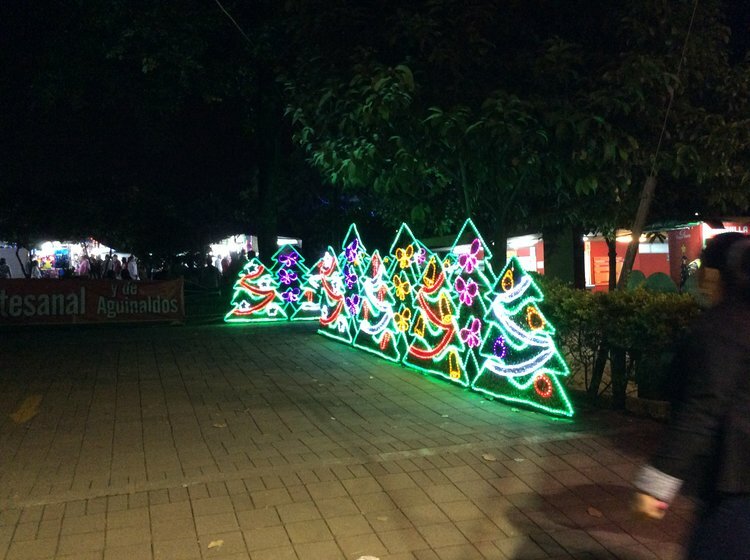 Once inside Parque Norte, you will see large scale Christmas decorations everywhere, and walking to the left will put you officially in the amusement park. 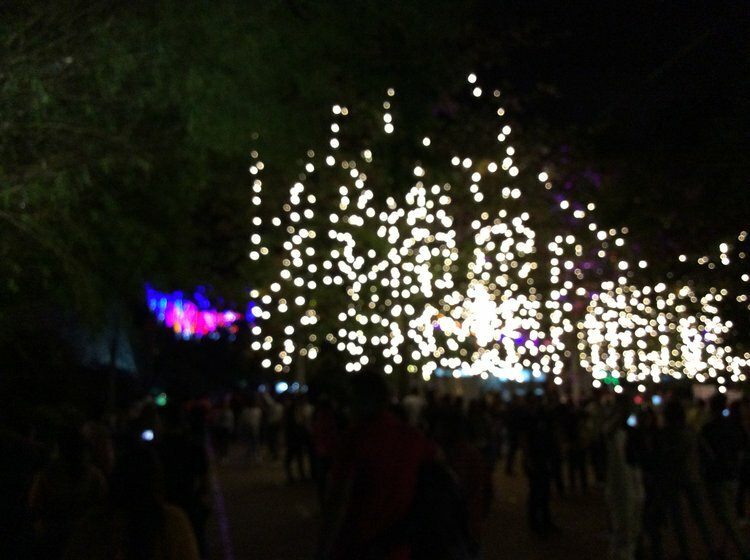 The crowd and walk takes you fully around the park through all the decorations. 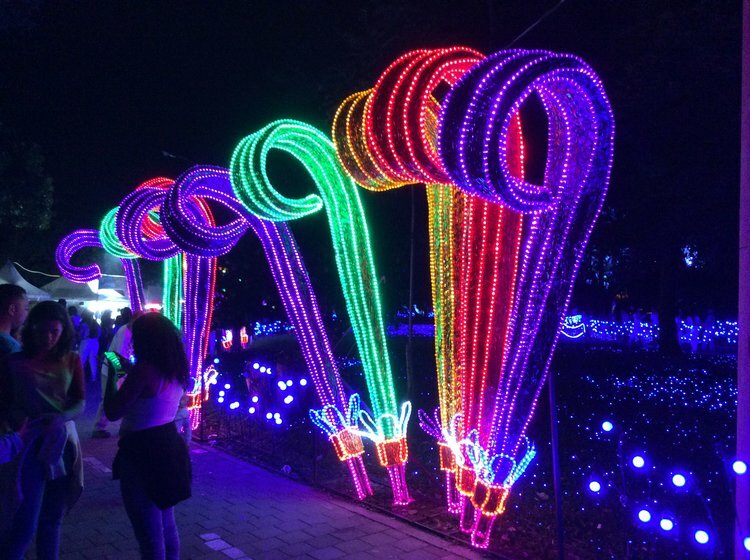 There are different themes and main pieces within the park. 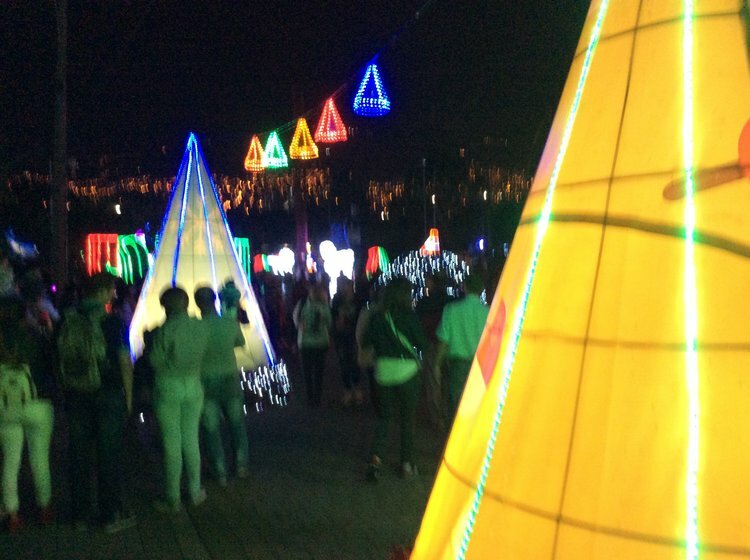 If you watch the video at the Planetarium of Medellin, walk through Parque Explora and Parque Norte it will take you a solid two hours. 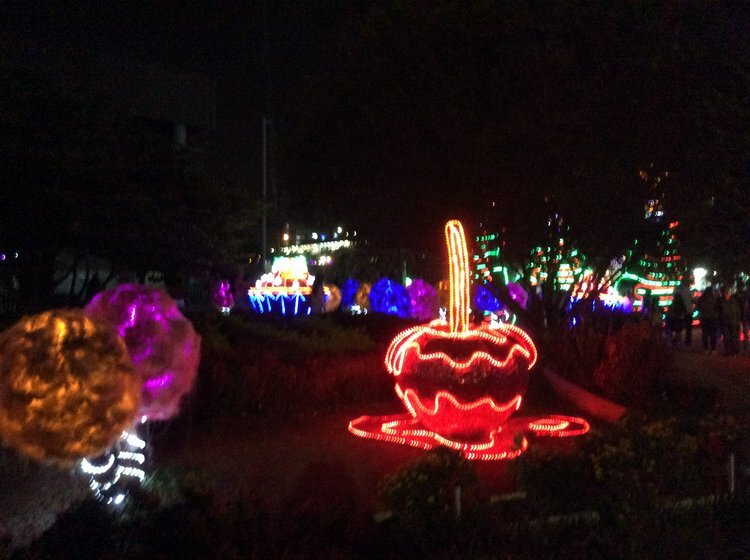 There is a lot to look at and a lot of activity buzzing around you. 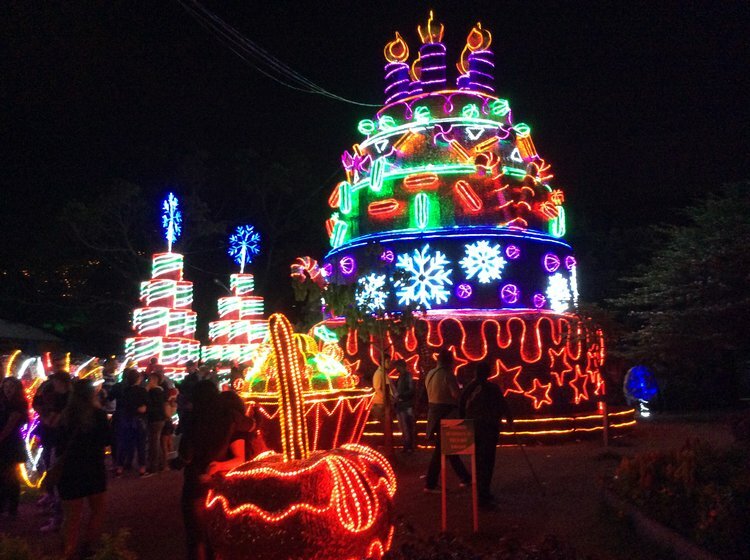 Just like Guatape is a must do day-trip, the Christmas lights are a must do if you are in Medellin November30, 2017 to January 9, 2017. 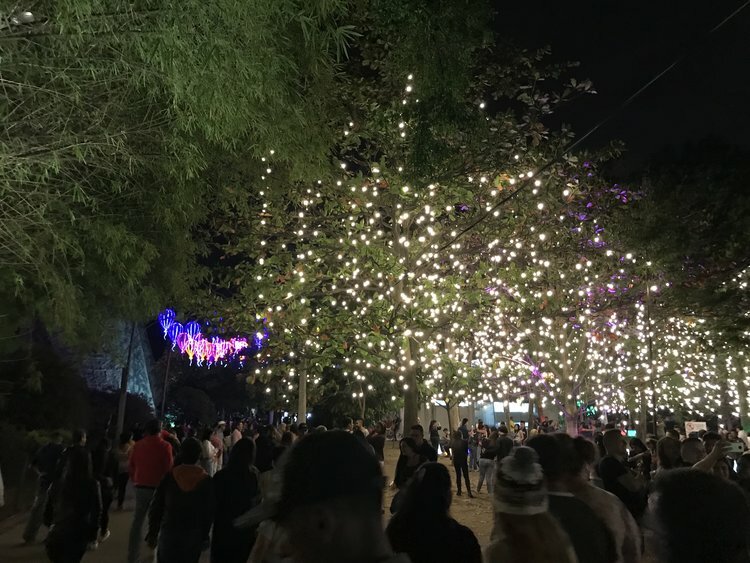 Here is a great article on the Christmas light from LaJolla Mom. Plaza Botero: This park has a Botero statues, mostly women. This is a big tourist attraction and where you can get random souvenirs. I bought my wide brim hat with the Colombian flag painted around the top for $12,000 pesos. Be ready to negotiate as they will start with high prices- do not fall for it. 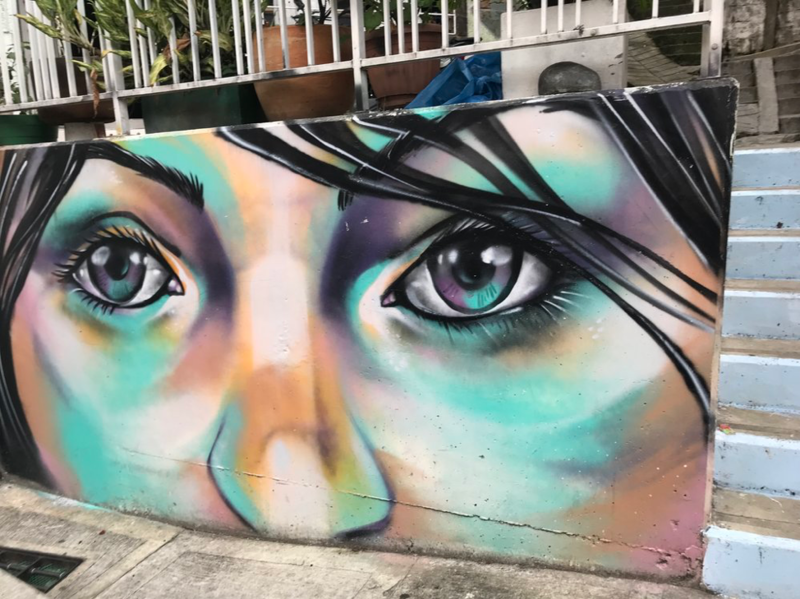 Market: This market seems to be the heart of Medellin and it where you can get any food, clothing, or electronics you need. This is a very busy and fast pace area. 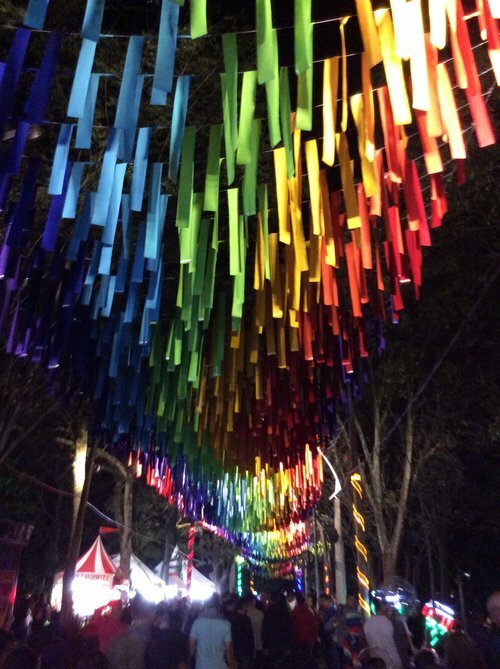 It is a great place to walk through on the way to Plaza Botero. Money: It was a little tough to find currency exchange locations if you brought cash to exchange. Your best option is to take money out of an ATM. Luckily, there were many ATM around the city. Try to get at least $2,700 pesos per US dollar. Anything less is ripping you off. 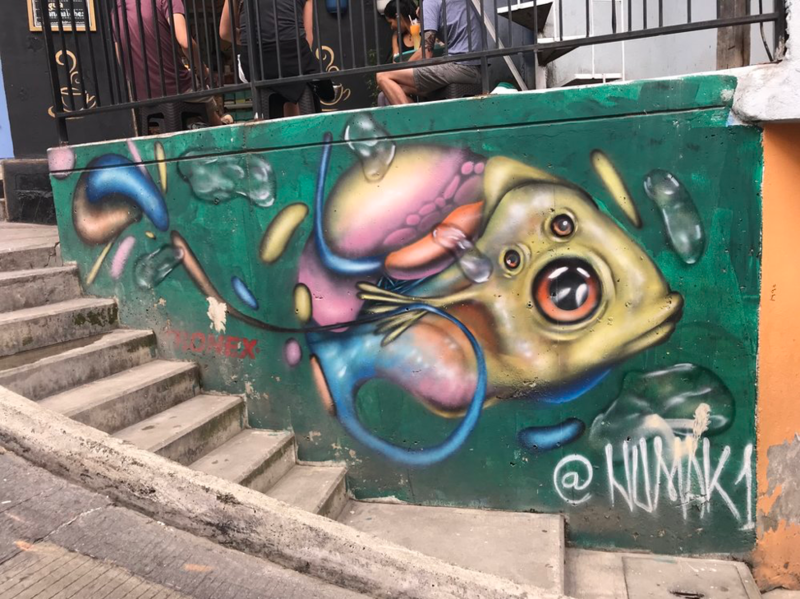 Food: I, unfortunately, can’t give you any good restaurant recommendations for food because I was there for only 48 hours, with 12 of those hours spent in Guatape. 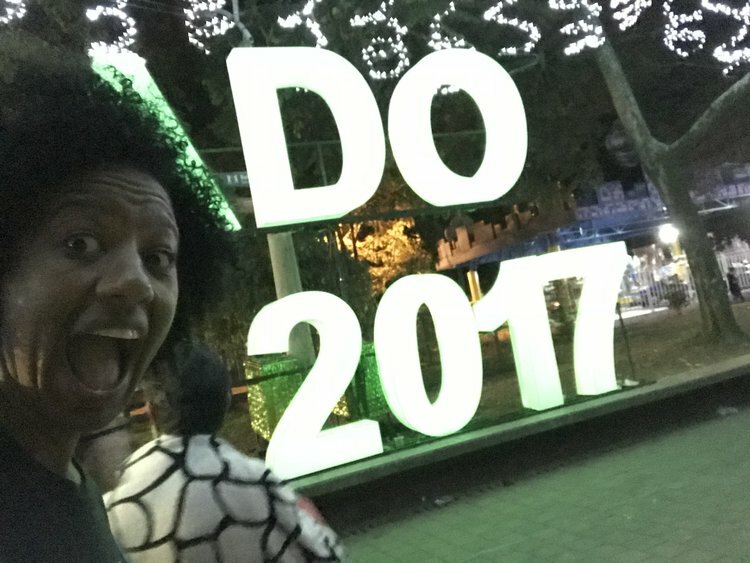 I only ate street food because I was in a hurry walking around. But what I can tell you is what street foods are available. Fruit carts: Is a must here just like it was in Cartagena and Bogota. They are selling mango, watermelon, papaya, and so on in cups ready to eat. The fruit you will get is very fresh. Queso Arepas: cheese are plastered with butter. I could feel my arteries getting clogged but they are great. 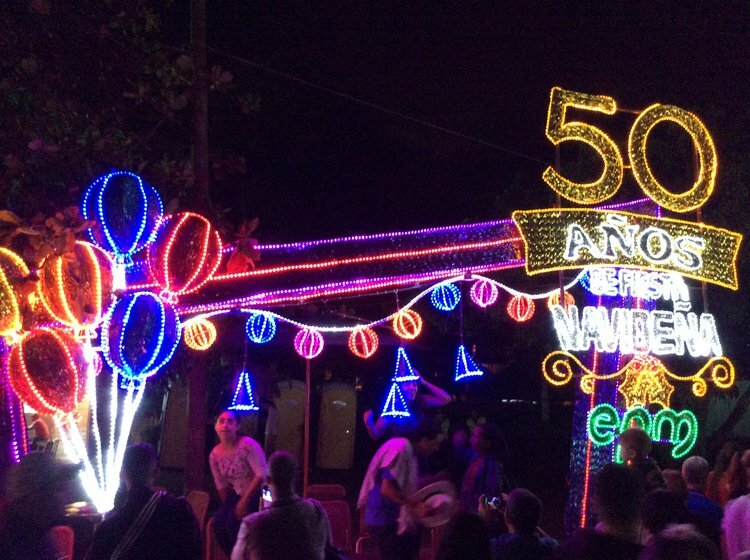 Miscellaneous: Colombia uses the same wall prong adapter and voltage as the US and Canada!! Hip-hip-hooray! No blowing out transformers or hoping you can use a straightener in other countries. We have all been there before when our straighteners or blow dryers do not work so we have to rock the ponytail or scarf. If you are interested in some dual voltage straighteners or blow dryer please check out my blog on How to be a Backpack Traveler, I give some options on what to buy for countries with different voltage. 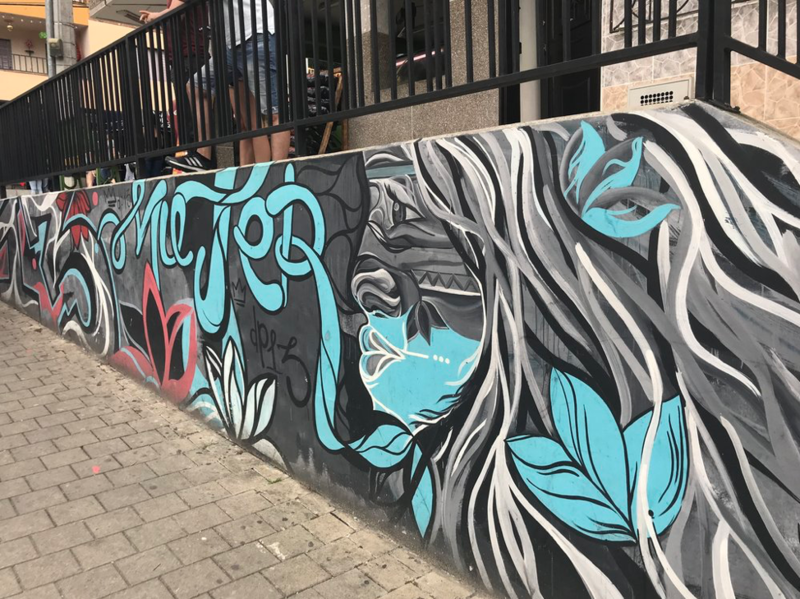 I have my other blogs on Cartagena, Bogota, Guatape, and Colombia, so if you are thinking of traveling to these other cities or the country of Colombia please read those blogs.